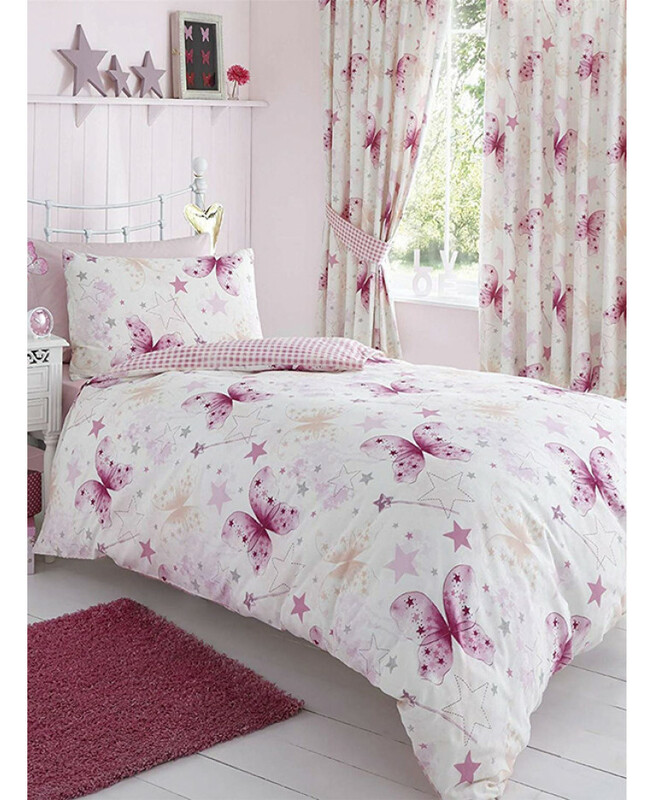 This Make a Wish single duvet cover and pillowcase set is perfect for little girls. The design features a collection of colourful pink fairy wings, magic wands and silver stars on a white background, while the reverse has a pretty gingham check pattern in the same pink tones. 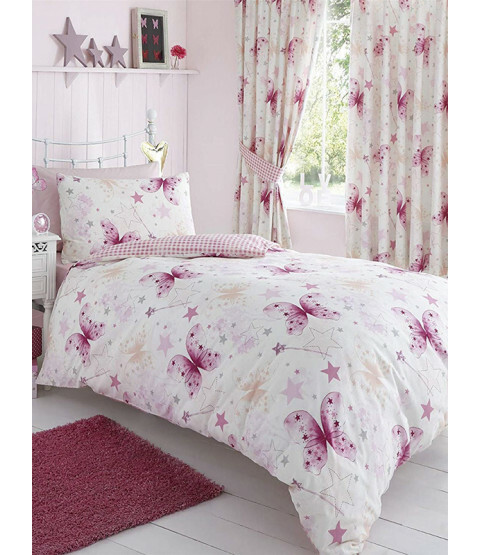 Ideal for any girl's bedroom, this item is also suitable for machine washing and tumble drying.